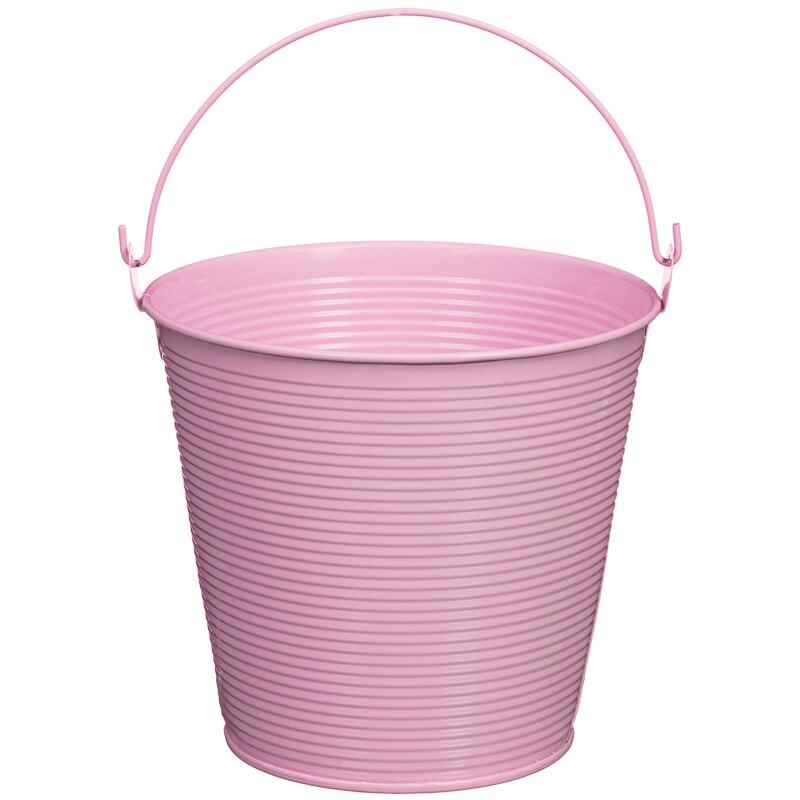 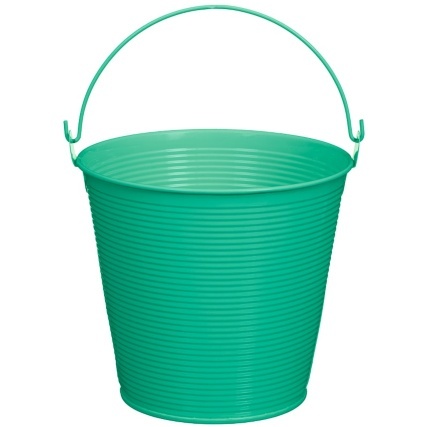 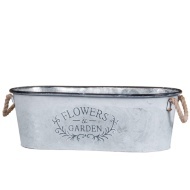 Make your garden pop with colour with this Decorative Tin Pail. 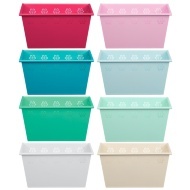 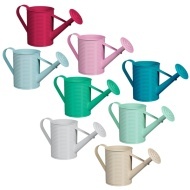 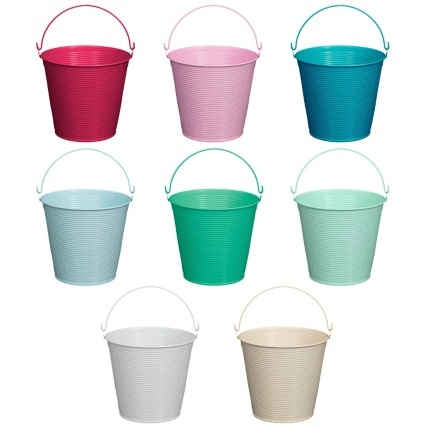 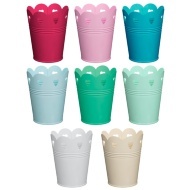 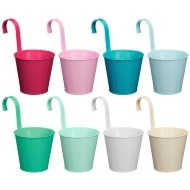 Display your favourite flowers in one of these pails, or mix up a few colours to create a colourful garden feature. 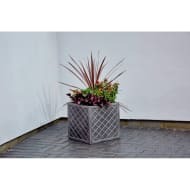 Unique planters are suitable for indoor and outdoor use, and all include a handle.